Galaxy radios DX2517 10 Meter Base Ham Radio is a base station radio designed for getting the most out of HF transmissions. If you're ready to get started in the World of Amateur Radio to connect locally or globally even when there is no cellular phone service available the Galaxy DX2517 base station radio will open the 10 meter band. The DX2517 radio has a sleek modern design with positive controls, a large front mounted speaker, and is packaged in a sleek all-black chassis. Whether you are interested in DXing on the 10 meter band using CW, digital, or phone modes the Galaxy DX2517 is a great radio to add to any ham shack! Variable power output lets you operate legally and make the most out of your time spent behind the mic. The DX2517 has all the features and many extras that any ham radio operator can make use of to enjoy almost limitless opportunities. Frequency counter and dual meters for signal power output, SWR, and modulation are easily read. Noise filter circuit, on demand talkback, and noise blanker are present to enhance your behind the mic experience. The Galaxy DX2517 is known for loud modulation with more power than comparable radios. A four pin Cobra/Galaxy wiring configuration allows for endless possibilities for microphone selection. Standard front panel channel controls are familiar to experienced hams and easy for newbies to be sure that they are locked ono the correct frequency. No need to run to your Elmer for help with the most minor tasks! 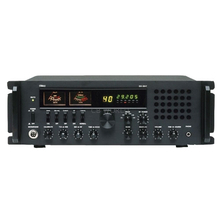 Galaxy radios is a serious manufacturer of Amateur and CB radios. Galaxy is obsessed about quality control of their products. So much so that they handle ALL warranty issues direct. The DX2517 has a two year factory warranty. An amateur radio operator's license issued by the Federal Communications Commission is required for legal transmission when using the Galaxy DX2517 base station radio. Defective 10 Meter Radios must be returned to the manufacturer warranty service center. 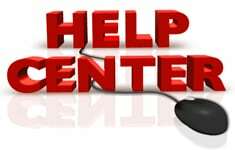 Contact the warranty center at the address listed below for technical assistance or to request a Return Authorization for warranty repair. you can also obtain information from the product user guide!